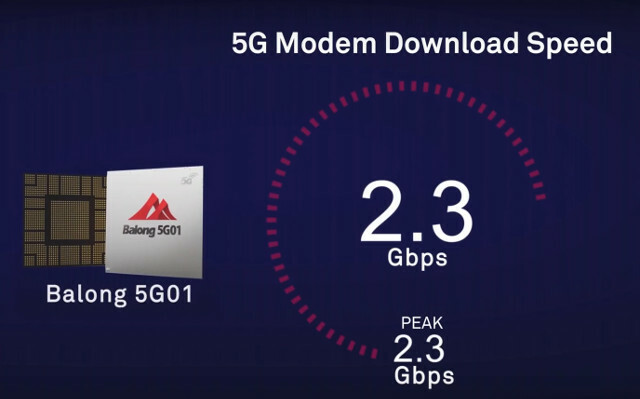 5G will start to take off in 2019. so we should be expecting hardware announcement this year, after having seen solutions by Qualcomm and Ericsson previously, Huawei has unveiled their Balong 5G01 5G Arm SoC and 5G CPEs (Customer Premise Equipment) / routers at Mobile World Congress 2018. We don’t have a whole information about the chip, except it’s a 64-bit Arm based SoC compatible with 3GPP telecommunication standard for 5G working with both sub-6 GHz and mmWave bands, and capable of achieving 2.3 Gbps peak throughput. Huawei Balong 5G01 chip is found in two HUAWEI 5G CPE, basically 5G WiFi router, one working at sub 6 GHz (low frequency) comprise of one indoor deice, and the other working at mmWave bands (high frequency) that requires two devices one indoor, one outdoor to receive the signal, since the latter would have troubles going through walls. The CPEs come with high speed WiFi (not sure 802.11ax or simply 802.11ac), as well as two Gigabit Ethernet LAN ports. Charbax discussed the new chip and 5G CPEs at Mobile World Congress with Huawei representatives. No availability nor pricing information just yet, but it could launch at the end of the year or in 2019. CPE usually means the device will be provided to end-users by the service provider/telco, and beside data services, the CPE may also be used to stream IPTV over 5G.